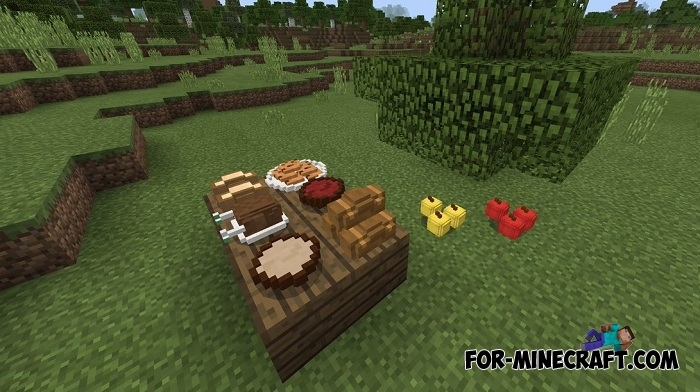 Here is another decorative addon for your kitchen that adds cubic plates and the ability to put food on them. 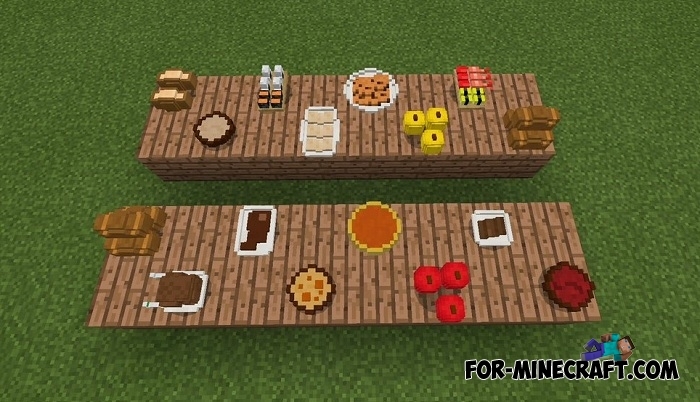 In original Minecraft, you can put only a few products on the table, and this addon allows you to prepare a whole table with food on the plates. Together with your friends, you can organize a delicious banquet but the addon has one unpleasant limitation. Works on Minecraft Bedrock 1.6 and 1.7. Added new food shown in the screenshots. Support for Minecraft PE 1.5+. For versions 1.2 and 1.5, does not matter. New cups with water and milk (also can not drink the contents). Food can not be taken from a plate and eaten, so the addon is just a decoration and a good decoration of places where you consume food and satisfy hunger. To see how it works, take a plate and put food on it. In order not to leave dirty plates on the table, take a wet sponge and wash away the leftovers of food. Modern Furniture addon is one of the latest MCPE addons designed to decorate the entire house at the same time. It adds electronics and furniture to any room, with most things having some functions. Both addons are supported by Minecraft Bedrock 1.2.13 which is the newest at this time. How to install the Plates addon?